Boxpn VPN is a Turkey based VPN service that is working under the brand name Cakinberk Telekom Ltd. With an experience of providing web hosting services and dedicated servers to their customers since 1998. This company started its VPN service to offer customers with a stable, secure and a fast solution to the customers looking for a VPN connection. Various features of this VPN service are described in the text that follows. The VPN service offered by this provider is offered on monthly as well as annual subscription packages only. Various features like anti malware protection are available at low additional costs. For Smartphone users, PPTP & L2TP protocols can be used by paying a price of $1.99 for a month. The annual connection for SSTP protocol based VPN service amounts to $69.97, reducing the monthly cost to be around $5.83. A 100% money-back guarantee is also offered with this VPN service, while the trial version available with this service can be accessed by requesting the VPN provider through email. 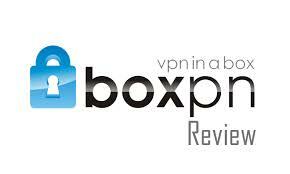 The Boxpn VPN service is offered by the strongest available encryption service, which is a 2048bit encryption combined with an SSTP protocol along with Microsoft TMG for an added security. Other security features offered include anti-malware, spyware, anti viral scans, to raise the security level of the user. With no user log maintained, a high-level privacy is also maintained. The registration process for a new user to gain access to this VPN service is simple and quick, after which a welcome mail is received by the user containing a detailed guide on using this service. They also offer easy to understand instructions for the creation of a connection to use the service. Thus, easing the process of connecting to their service is easier for both technical and non-technical users. 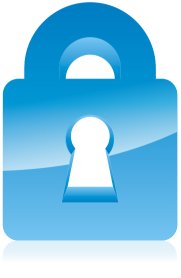 This VPN service is compatible to be used on Windows and Mac operating system based computers and laptops. For mobile devices, it supports iOS and Android operating systems. To test the speed and reliability of the connection, various tests were carried out by Atlanta server. The tests for the speed of the internet connection used were tested under different conditions like without the VPN server, with the Atlanta VPN server, with or without a DSL router. All the tests provided impressive results with an increase in the upload speed and a negligible drop in the download speed of the internet connection. The customer support offered by this VPN provider is a 24*7 service available through a live chat option available on their website. The response time of the representatives offering this service is also very impressive, being provided by a knowledgeable staff. Other options available for customer support include ticket based support system and email address support from the sales & support department. Overall, this VPN service offers an impressive customer support along with ultimate security and privacy features. There are no speed restrictions and the connection is reliable and fast priced competitively and supported by impressive documentation. There is no significant drawback found with this VPN provider.